Next time you find yourself on Route 16 in Milford, whether you're attending the Portuguese Picnic or checking out the Howie Long shrine at the Applebee's on Rt. 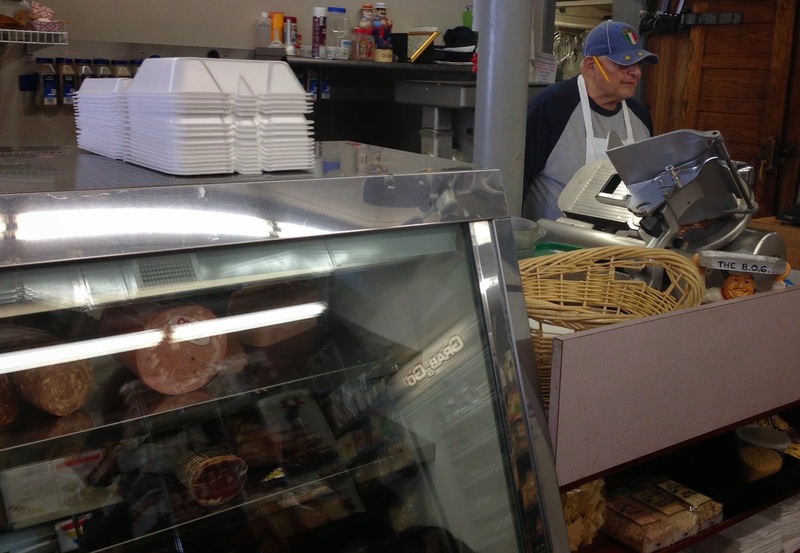 109, there is an Italian market founded by Anthony "Babe" Oliva and his babe, Mary, over 50 years ago that is still selling fine, Italian specialties today. 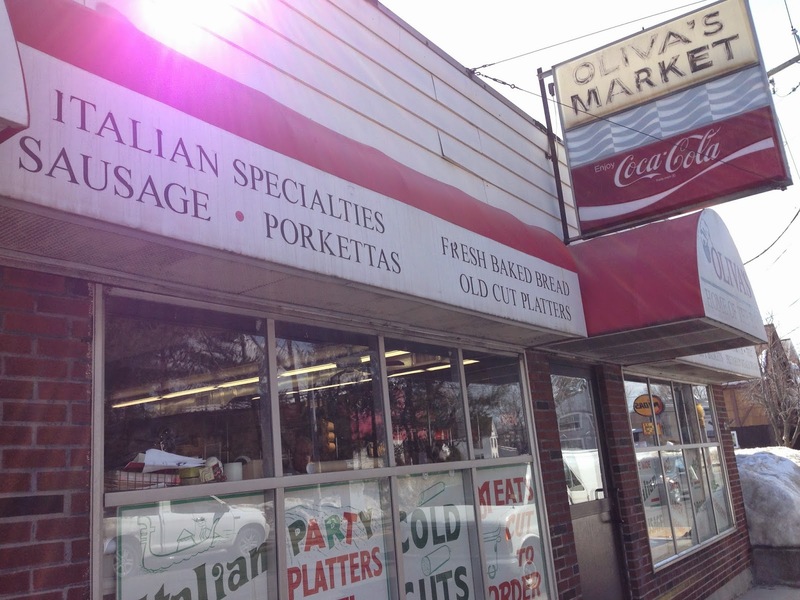 Inside Oliva's, you will find various Italian goods for sale along with handmade sausages, meatballs, and freshly baked bread. Behind the meat slicer, Babe Oliva still stands to prepare the pounds of prepared Italian Subs that he places in a wicker basket to satisfy the hordes at lunch. In this wicker basket around lunchtime, you will find a pile of Italian subs known as the Babe Oliva Grinder priced at $4.50. Toto, I have a feeling we're not in Boston anymore. 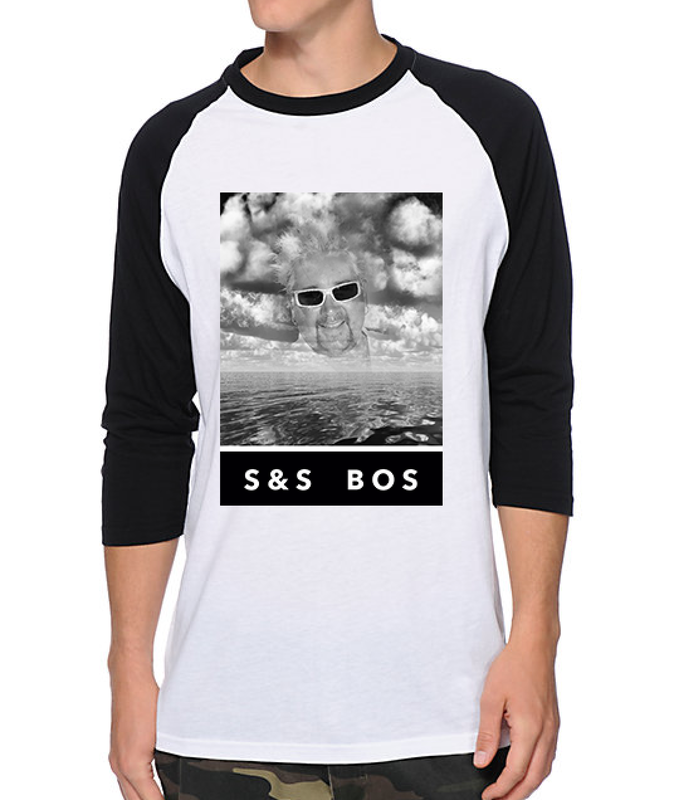 Perhaps, we are over the rainbow, but regardless, the B.O.G. Grinder, wrapped in butcher paper, is hefty and a bargain. Named after Mr. Oliva himself, it weighs in at a pound and features salami, mortadella, and hot ham. Because some like it even hotter, they added hots for the kid to the toppings, which include lettuce, tomato, onion, and pickles. Oliva's is strictly to-go as there is no seating, so the front seat of the whip became the dining area for the afternoon. Peep the one-bite, video review below to see the verdict. The Oliva's Italian has that classic, nostalgic taste that you come to expect and love from the hometown sub shop in every Italian neighborhood. The bread is soft with a very slight crust on the round roll sliced in the half. The meats and cheese are laid flat along the horizontally-sliced roll, and the meat-to-bread ratio is fair. However, the taste of mortadella dominates the sandwich, so it could use a stronger presence from its cold-cut colleagues. The toppings are good, but are nothing out of this world. The hots are banana peppers, and therefore, take 'em or leave 'em. With good meats, cheese, bread, and standard toppings, it is a good sub but a steal at the price. When you're in Milford jonesin to feed the need, Oliva's got that sub for the low, and it's good to go. And don't forget, nobody puts Babe in a corner, just keep him behind the slicer. 83 1/2 East Main St. I definitely dream about going to this party place again. The live music at NY venues was an added bonus, providing a backdrop for the fun hours spent imbibing, tasting, and chatting up with the breweries and beer distributors.